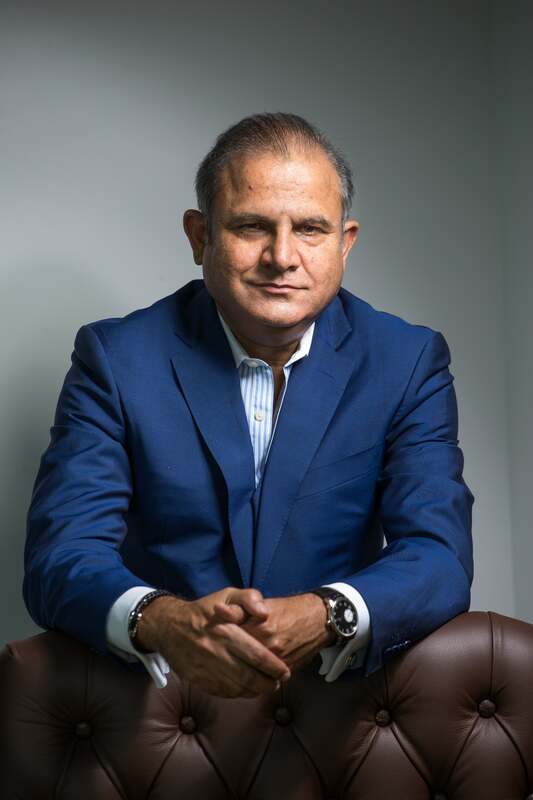 In 2009, Tariq Chauhan, the newly-appointed CEO of EFS Facilities Services Group (EFS) at the time, was thinking big, despite personally recovering from a few scars of the 2008 global financial crisis. EFS was well-positioned in the integrated facilities management services sector, but Chauhan was about to unleash a series of shrewd moves. “I felt that to have the critical mass and to be large was no more an option, but a necessity,” he says. “There was no room for me to remain in the small to medium space -to be a US$100 million company- we had to have the critical mass, because of the challenges that the business was facing.” At the time (2010), EFS had 2,000 people on the books, enjoyed 76% of contract retention, and 21% revenue growth. However, Chauhan’s vision was only beginning to take shape. Today, EFS is a regional leader in delivering integrated facilities management services with its network of 26 operating companies in 21 countries across the Middle East, Africa, South Asia, and Turkey. With 97% client retention rate, it enjoyed an AED3.5 billion contract backlog, 26% revenue growth, and 7% profit increase in the last year alone. Interestingly, that is the same year which the company’s media pack describes as a period of challenges and introspection, since EFS experienced a 18.76% drop in gross margins driven by difficult market conditions, economic slowdown, and emerging competition. Two interesting points are to be noted here: firstly, Chauhan does not shy away from stating the unpleasant facts, and secondly, the market difficulties haven’t dramatically affected his plans, as EFS has already achieved the status of a large company. However, being a large business is no longer enough for Chauhan. “We have definitely established ourselves amongst the large, but this large is still far from where I want to be,” he says. “To be successful and sustainable in the long-run, we need a quantum leap in our approach, and that is exactly what we have done this year. Besides some obstacles, we have enjoyed a 90% growth this year. We’ve been growing by 25%, and by any global standard, that is considered extraordinary. There has been a lot of work in progress to develop our capabilities to take on mega projects, and that is what has led us to this 90% growth. Three core mega projects have come our way. In the past, we did have some misses, but eventually everything happens for a reason." The reason for the current dissatisfaction is in the details of Chauhan’s grand plan which is only now being fully revealed- it includes spurring social change by empowering individuals to pursue their own potential. To achieve that, his eyes are set on building a $1 billion organization. “I seek socialism in capitalism,” he says. “As a $1 billion organization, my business would employ about 100,000 people. These people and their families would enable me to make an impact on a larger percentage of the population. If you can create your good in others’ good, how better can it be?” His belief is strongly rooted in the company’s unique ability to influence the bluecollar worker segment, which forms the majority of EFS’ 15,000-strong workforce. “I believe that CSR is embedded in this role, because of the structure of the business itself- there is a large section of people who are at the lowest part of the self-actualization curve,” Chauhan explains. Therefore, the company is still on its growth trajectory, and Chauhan exhibits nothing but patience and conviction. This wisdom, as in many other cases, comes from experience. Chauhan’s career started in banking in 1987 in Oman, and saw him working for three different banks and operating in 11 different countries. He moved to the UAE in 1995 to start managing a high-network investment portfolio for Elfina Banking & Financial Investments Co., which would eventually become his own company. With the wisdom of hindsight, he describes it as a challenging period, but it did not prevent him from making further entrepreneurial attempts. Later, he started up other businesses, including KOL Corporation, an IT company providing e-business integration, supply chain and real estate solutions. “Unfortunately, the 2007/2008 [period] shook me completely, and I was near financial collapse,” he says. Tariq Chauhan, Group CEO, EFS Facilities Services Group (EFS).Source: EFS Facilities Services Group (EFS).